In line with the 2014 curriculum our aims are to ensure that all learners become fluent in the fundamentals of mathematics, so they are able to recall and apply knowledge rapidly and accurately. And that they can reason mathematically by following a line of enquiry and explaining the outcomes, and solve problems by applying mathematical knowledge, including breaking down problems into a series of simpler steps and persevering in finding the answer. 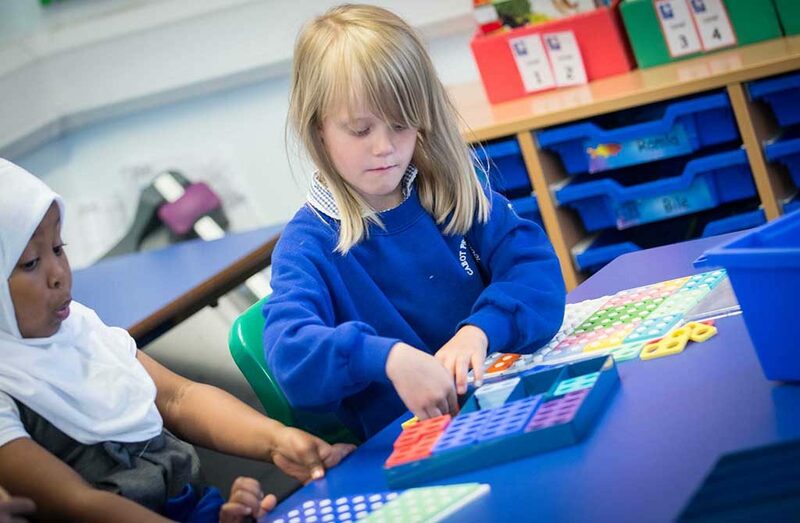 We teach the objectives from the national curriculum in four areas: Number Sense, Additive Reasoning, Multiplicative Reasoning, Geometric Reasoning. These areas are taught across the year and regularly revisited. Below you can find the ‘Pathways’ document, designed by Rising Stars publishers, showing which objectives are taught across each year group. Please also visit class pages to see which units are taught throughout the year. Also, to ensure calculation is taught consistently, and that skills build from year to year, staff also follow our calculation policy. This can be found on our policies page.